18. The LORD said to Joshua stretch out your javelin toward Ai, I will give it. 19. The men in ambush rose, entered the city, captured it, and set it on fire. 20a. The men of Ai turned and looked, the smoke of the city ascended to the sky. 20b. The people fleeing turned against the pursuers. 21. When Israel saw the city captured they slew the men of Ai. 22. They slew them until no one was left. The victory for God’s people is a complete victory… God is not in the business of giving a half-hearted victory, or mostly a victory, but the whole victory. The enemy MUST flee because of the great name of My God, and that name is Jesus who conquered the enemy once and for all. 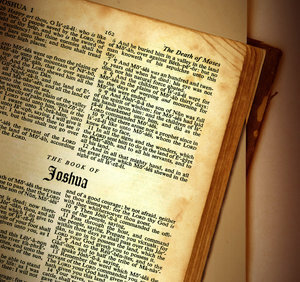 Joshua was careful to again… obey “all” immediately, without fight or question. When have I settled to have part of the victory in an area of my life instead of total victory? Is there more ground to be conquered in a certain area of my life that I thought was “close enough” to closure but not complete? Am I obeying “mostly” or “partly” and then complaining that I am not experiencing “total victory”? Where is the battle in my life being fought and how does God want to bring glory to His name through it? 11. All the people of war came before the city and camped. 12. He took 5,000 men and set them in ambush. 13. Joshua spent the night in the valley. Sometimes God’s plan leads to an offensive attack at the doorstep of our enemies. God’s plan involves my active obedience and it will probably take an insane amount of courage that will strengthen my faith in the end. It is never easy. There is always a gap between what I can do and what God must do…. that gap will demand courage and will produce faith in my life. Would I rather live in a defensive mode or offensive? Am I willing to go on the offensive against the enemy? Are there places and things if God calls me to do them that I just won’t do? “I’ll go there, but I won’t go there”? Do I trust God if He asks me to place myself in a position of vulnerability in front of friend or foe? Or do I demand from God a place to play it safe and a constant “comfort zone”? Will I press in to what God is asking of me, or get out? Was I thinking this would be easier than it really is? 14. Often the ENEMY will use the EXACT SAME strategy against me until it doesn’t work anymore. 15. GOD uses a NEW strategy with His people, Trust God with His plan and the results. 16- 17. The enemy is often times bold in their pride and arrogance, James 4:6 “God is opposed to the proud but gives grace to the humble.” The enemy will over-reach due to their arrogance. What strategy for defeat has the enemy used on me time and time again and has found victory in my defeat? Have I asked God what His plan is, His new strategy for the enemies defeat and His victory in my past or present circumstances? Am I willing to “do all” according to God’s plan even if I don’t like it, or it’s not easy, or it doesn’t make any sense? When do I think the arrogant enemy just prospers and prospers thinking that God does not see it? Do I take God at His Word and trust that He is in control? Share with us your lesson(s) and what it means to you. a. Do to Ai & it’s king like Jericho, take only its spoil and cattle. a. God commands Ai to be burned like Jericho…. BUT…. Israel gets to keep the booty! Again, God does not point His finger and hold their past sin that occured in Jericho against them… God does not say, “Lets try this again… everything to MY treasury, can you handle it this time?” GOD BLESSES HIS PEOPLE as they walk in obedience. God not only restores their standing and calling before Him, but restores their BLESSING as well. See how good it is to be near the shepherd, obeying and following Him… life will still have challenges and battles and tough stuff…. BUT will be FULL of HIS BLESSING!!! God will not with-hold His present blessing because of our past mistakes! PRAISE GOD! Not only are we victorious, we are blessed! ACCEPT IT! b. 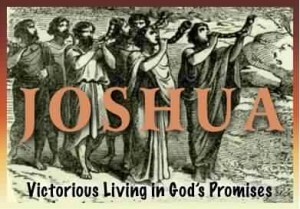 God gives Joshua a plan, now he must follow it. The quickest way to re-gain victory in my life, is to listen to God’s plan, and “Be careful to do all” (Joshua 1:8). a. Do I think God will with-hold a calling or blessing in my life because of my past mistakes? Do I KNOW God wants to bless me? When and How have I been undeservedly blessed by the awesome hand of God? Will I accept God’s blessing, or walk away from it b/c I don’t deserve it? b. What has God laid on my heart to do today in obedience? Start something? Stop something? Wait for something? Encourage someone? Share something? Testify to someone? Will I be careful to do all He has asked? No more no less? Share with us your lesson(s) and what they mean to you. 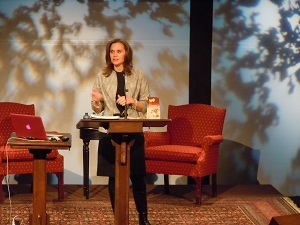 Welcome to Kendra Graham’s online Bible study. This is a place where women can come together and share their journey towards Scriptural truths and spiritual maturity. We pray this will be a safe, respectful, resourceful place to come and discuss God’s Word…to discover What it says…What it means…and What it means to you! 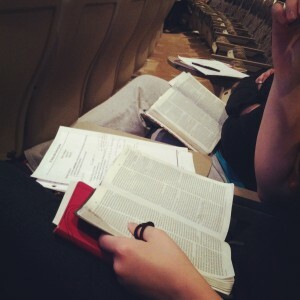 Kendra suggests you use the following process when studying Scripture. We have included an example of this process from John 1:1.
a.The LORD said to Joshua do not fear. b.Take all the people of war with you. c.Arise and go to Ai. 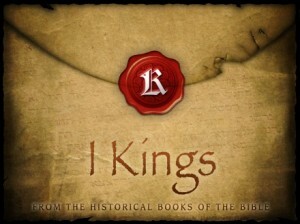 d.I have given you the king, people, city & land. “Do not fear or be dismayed”– God RENEWS Joshua’s confidence w/ the same familiar words as Joshua 1. We have a tendency to “live” in the fear of past mistakes & not go forward even after God has dealt with them. God is so tender and gentle here, not reminding, or chiding Joshua, “Don’t mess it all up again!”, but God sweetly renews Joshua’s confidence reminding him of His Word. God’s Word did not change b/c Joshua and Israel messed up last chapter, Joshua didn’t lose his spot, his favor or his calling, it was all just re-enforced. God renews His people through His never changing Word and promises. Take all the people of war with you– God kindly RESTORES the entire nation of Israel to Himself. In Joshua 6, again, God used all the men of war to march around that wall, and here, for the small city of Ai, God is going to use them all. God is interested not just in restoring Joshua, God not only just cares about Joshua, but cares about His entire nation. God did not say, “Since you messed up in chapter 6, now I’m not giving you Ai, you will have to settle for less.” NO! Our past sin does not disqualify us for present service. Arise and go to Ai: God REDEEMS the previous failure at Ai. God forgave Israel for their sin back in Joshua 7, but NOW He wants to REDEEM it! Go back and face that which formally defeated you and beat you down, this time with Me in the lead, in My power in MY plan! God does not leave people in the state of their failure to remind them of it time and time again… He leads them out…. He calls them to ARISE and GO in His victory as He redeems that exact failure and replaces it with His conquering victory. Notice they did not “try again” with a different city, in a different place, with a different challenge…. no, they had to conquer Ai before they moved on to another challenge. I have given you the king, people & land of Ai. God REMINDS His people of His promise. The land He promised is still theirs, and is clear, it is “this” land, this city of Ai. My promise hasn’t been altered or changed because of any of your actions. My promises stand, now go and claim them in confidence! Again, it is this city, don’t go looking anywhere else, it is this one which has held you in such a grip of fear for the past bit here. God has given us the victory over things which in the past have been a source of fear to beat us down with…. go and claim the VICTORY, stop living in DEFEAT! Know what God promises in His Word! Those promises do not change! a. Am I allowing the failures of the past to discourage me instead of God’s present Word to encourage me? What lies of discouragement do I listen to? You are a failure? 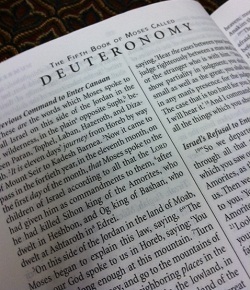 God’s Word renews His people, so whose word am I listening to? Am I allowing God to build strength and courage, or allowing the world to tear me down with fear and discouragement? b. Have I believed the lie that since I have messed up here and there I have disqualified myself for God’s service? Where in my life do I need restoration back to a place of honor in the presence of God? Will I allow God to restore me or will I stay in the fact of my failure? c. Will I allow God to redeem that past failure (the one I don’t want to talk about) through my present obedience? d. What victories has God given to me that I am too afraid to claim? What present victories do I have over past failures that I have claimed and live in victory over? Watch this beautiful music video, When Love Sees You, by Mac Powell (Third Day). HE came for YOUR story…Yes, you–reading this now. Thank you for sharing! Thank you for being a part of this community! We thank God for each of you. Verse 20: Elisha left and ran after Elijah. Let me kiss my father and mother and I will come. Elijah: Go back, what have I done to you? Verse 21: Elisha left and went back, took his oxen, slaughtered them, burned the plowing equipment, followed Elijah and became his attendant. Verse 19: Be found faithful where God has placed me. Verse 19: Would I be found faithfully doing what God has called me to do, where He has called me to do it? Being a wife, mom, soccer coach??? Or are my eyes looking for a more “important” post to be sent to? Something else? Anything else? Verse 19: If God’s call is clear, then am I living a life that evidences that I’m doing what God wants, or does my life show evidence of me doing what I want? Verse 20: Have I really decided to “follow Jesus”, really? Or do I just choose to follow when the choice is convenient for me? Verse 21: Have I rejected God’s call in my life because it’s beneath me? Not the important “leadership” position I thought I deserved? Ask God where He wants me, and where He doesn’t. Pray for the strength to quit those areas He never called me to, and strength to pick up the ones He has. Share with us, by using the comment section, your lesson(s)/application(s) from any part of 1 Kings 19:19-21 and what they mean to you. Yes, just one verse for next week! There is a lot to discover in those two sentences. Always begin your time by first praying and reading your verses. Here are a few of Kendra’s lessons. Please share your lessons with us too! Step 2: God says: This IS my immovable unchangeable character. I AM trustworthy, I AM protective! My ways are right, I got you, TRUST ME! Step 3: God is telling me that He is safe, and just and right, solid, never changing w/ the wind of culture… Do I claim the promise of His character in my life? Do I know My God? Do I trust God? How, When have I trusted Him? Step 1: The LORD’s portion (inheritance) is His people. Step 2: I say: I am an embarrassment to God. I have nothing to offer. There are so many more important people and issues than me for God to deal with. GOD says: YOU ARE MY treasure! MY inheritance! I am PROUD to claim you! I have chosen YOU! Step 3: Do I realize that I am God’s inheritance and He is proud of that fact? God is not embarrassed to claim me, am I embarrassed to claim Him? Do I feel like treasure to God? Step 1: He found him in a desert, howling wilderness. He encircled, cared for and guarded him as the apple of his eye. Step 2: I say: I have been rejected, kicked out, forgotten, left to the elements, unimportant and very very alone. God says: I AM here with My arms around you, holding you up, caring for you in the midst of your misery, very aware of where you are, and you are not alone, I AM here. I found you and will guard you with all that I AM, for you are the apple of My eye, you mean everything to ME! Step 3: What is keeping me from seeking the One who loves me this much? What causes me to believe the lie that God has left and doesn’t care? LORD, will you show me You are here today in my circumstance? Where have I looked for love & acceptance in this world only to be let down b/c it was not You? Kendra suggests you use the following process, which she learned from her Aunt Anne (Graham Lotz), when studying Scripture. We have included an example of this process using John 1:1. You will find today’s Scripture at the bottom of this post. We look forward to hearing from you! Share with us your lessons and what they mean to you.